We've mazes, dot to dots, path puzzles, how many words and more to add some puzzling fun to this Chinese Year of the Rooster. 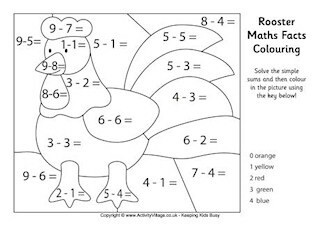 Here's a very simple maze puzzle for Chinese Year of the Rooster, a great introduction to mazes for younger children. Our Year of the Rooster maze is a fun addition to a Chinese New Year project. Take your time and try not to cross the lines! This is the third and trickiest of our Year of the Rooster mazes. We have the solution available to print if you get stuck!